Duct tape- Every seasoned campus missionary stashes a role of duct tape in their supply bag for ministry events because you never know what you will need to repair. This also comes in handy to tape your berks back together and to temporarily repair your car bumper. If done right, this repair job can last awhile. Any color will due, but get the role with at least 100 yards. Sharpies- Don’t get the cheap brand. Get the real sharpie brand markers. You’ll need both the thinline and the fat ones. These remind the new campus missionary of their name (look down on that name tag you’re wearing, you’re too tired to remember it’s there), but also you will need reminding that God doesn’t change- what he said yesterday is still the same tomorrow- and, that what God does can’t be undone. And, like the artwork my kid left on the hallway at home, Sharpies can’t be erased and neither can the work God has done in you. Sunscreen- We ALWAYS forget our sunscreen during Welcome Week events...our farmer’s tans are proof. But really, our sunscreen is a reminder that we need to put on our protection from the harm from others, the brutal words, the disappointments, the hurt from the times we tell people we can’t be somewhere because of our schedule or distance. God is our protector and salve. Use it or get crispy. Tissues- Fall allergies are a big problem in much of our nation, but these tissues aren’t for that. These are part of the survival kit because you’ll find yourself using the basement bathroom in the one building that the rest of the university forgot exists- even the custodial staff- and the toilet paper hasn’t been replenished since flip phones were hot. A secondary reason for tissues is for the cryer in the group. We’ve all got at least one, so be prepared for waterworks at any moment. It’s ok, because God is doing amazing things, but still. A small pack of Puffs can save the day in the most amazing way. There ya go. If you have these 7 items nearby, you will survive your first semester as a campus missionary...and try not to think that once you’ve been doing Chi Alpha longer, you won’t need them. Wrong. We all need to resupply our survival kit every fall. 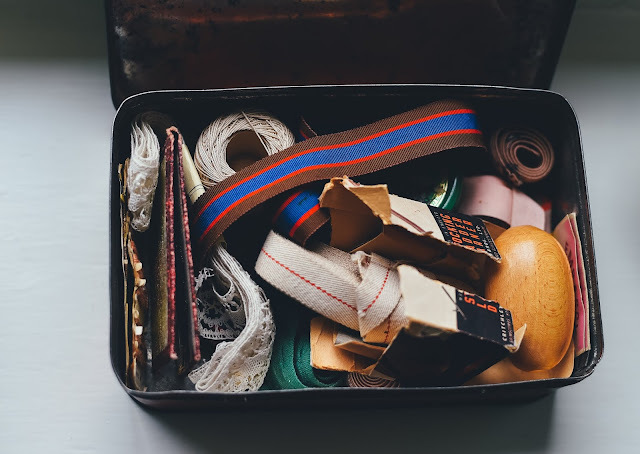 As we tell our students when packing for our retreats: “pack light and tight”, and you’ll be prepared for any situation.